Meeting Arnold & The track Trial. 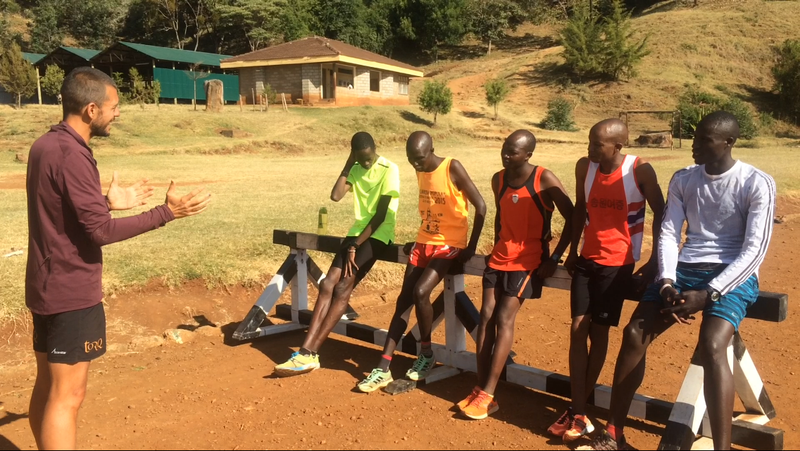 When Coach John Ewoi told me he had Arnold Kibbet travelling 8 hours to meet me I wasn’t convinced he’d come. 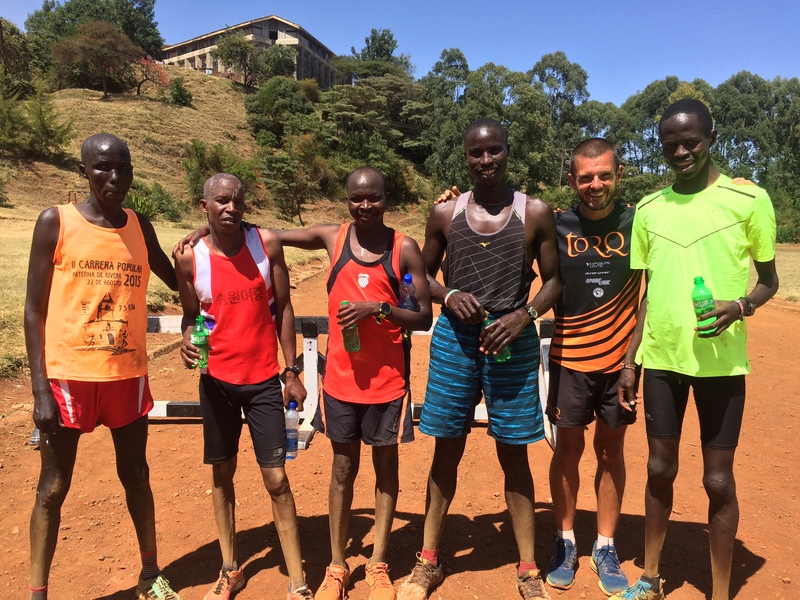 Arnold had already represented Kenya at the 2015 World 50k championships, winning the silver medal, surely he had made his name, he didn’t need me or the team to get opportunities… How wrong could I be? When Arnold turned up, he was shy and quiet, as are many Kenyans upon first meeting them, he had travelled to meet me as after the world champs he’d simply had no other opportunities to run ultra marathons.. I was amazed!! How can a silver medallist at a world championship get no opportunities to race, no invitations, no sponsors, nothing! Within 20 minutes of explaining to him what I was doing with the team he was ready to join, it’s great to have him on the team, someone with ultra experience who has actually gone abroad and raced ultras. He’d also be able to get the ‘concept’ over to some of the others who may not have been ‘sold’ on the idea of running for longer than two and a half hours. Arnold was living in the hills, 8 hours from Iten. 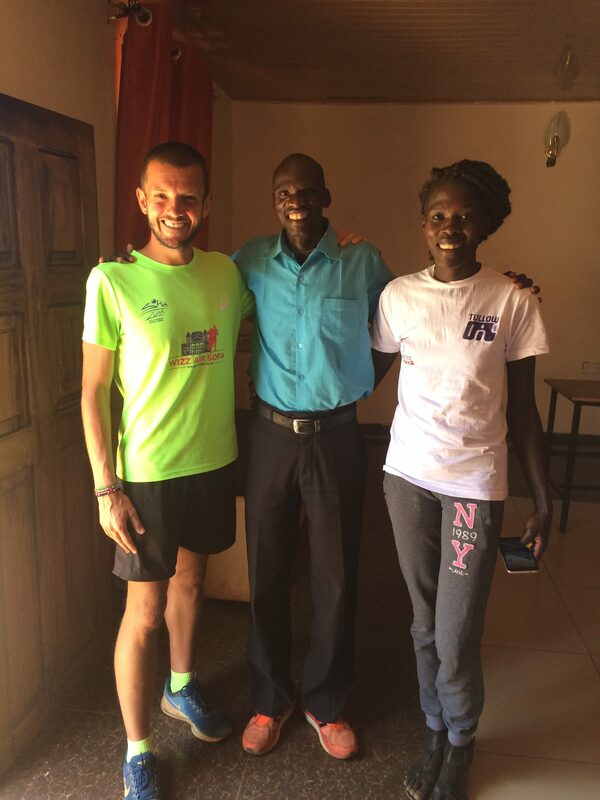 He will move to our Iten camp in March after racing a marathon in Europe where he has an invitation and plane ticket already paid for. The plan with Arnold is to focus on his marathon training from now until race day, I’ll adapt his plan slightly to include some longer tempo runs but he will move over to a more specific ultra program after the marathon. Meanwhile I was still getting a couple of calls every day from people interested in joining the team, I told them about the trial but the idea of running for 6 hours was slightly off putting to them!!! I don’t think they were getting the point of the 6 hour trial! I had planned for the trial to be 12 hours but decided in the week leading up to it that it was too much of a jump, none of these guys had run for longer than 2 hours and 30 minutes, I have absolutely no doubt that if they wanted too, most of them could plod around a track at recovery pace for 12 hours, but the whole point is to get them to actually want to do it, and at the moment I decided 6 hours would be a good start, physically it wouldn’t be a problem… that I was sure of, but it would give me a good idea who was mentally capable or could actually be bothered to run around for 6 hours. I’d also be able to see if they could keep an easy pace going, run within themselves, without hammering it from the off which is generally the Kenyan way when racing.. I’d remind them that it wasn’t a race and that the whole point was to see how they managed to pace themselves and keep moving for 6 hours. I wasn’t overly confident of anyone actually turning up, I had 18 people tell me they would be there but it was all very half hearted and I guessed a small handful might show at best. I had told them all to be at the track for 8:45am for a 9am start. 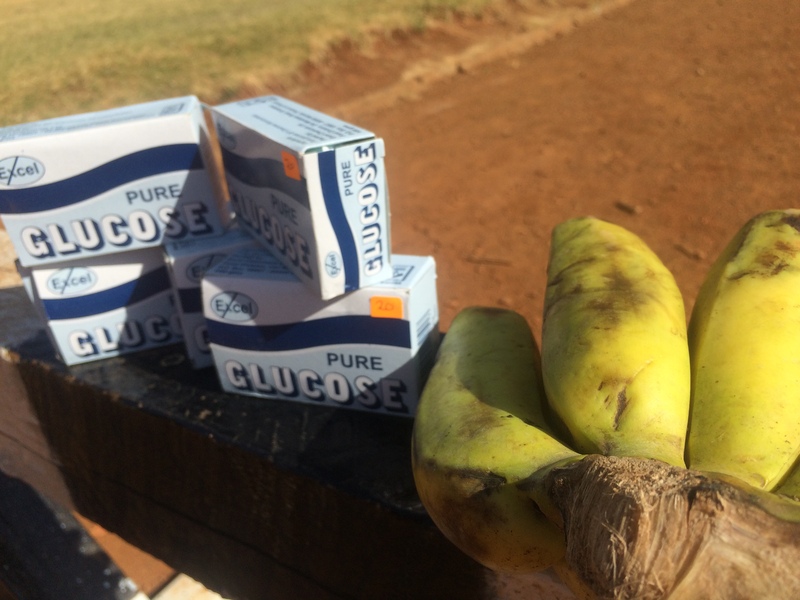 Myself and Tori (my wife) left the house at 8am and headed to the shop to pick up water, glucose, and bananas. This would be plenty to keep them going for 6 hours. 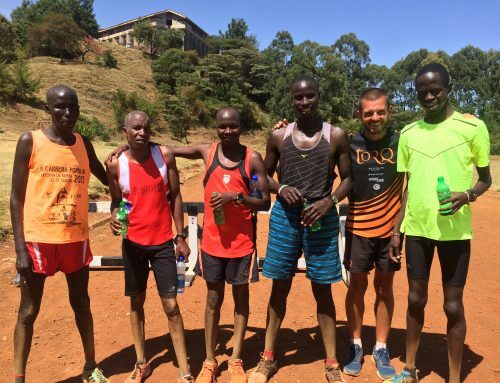 There were 3 guys already at the track when we arrived Abraham Koech, Amos Kibet, and Silvester Kiplagat, we had a brief chat before another 2 arrived Amos Kimutai, and David Chesire. I waited until 9:05 but with nobody else showing up I held a short briefing explaining to the guys what I wanted to see and how things would work after the trial. I explained that if they were to finish the full 6 hours they would be accepted onto the team with Arnold, they would be coached and helped with food and other living expenses, kit, shoes, etc, and would eventually move to our camp to train for races abroad which I would source and organise their invitations, visas, flights, etc. 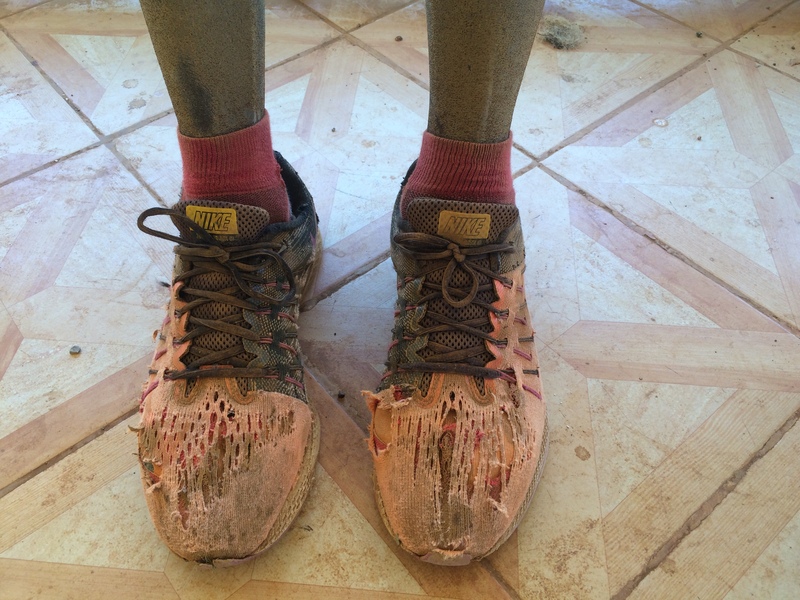 Abraham’s shoes, how was he going to run continuously for 6 hours in these! myself or Tori for drinks or bananas and they could stop for a few minutes every so often but if they stopped for much longer or felt they couldn’t do it, that would be the end of the trial for them. I didn’t fully realise how high the stakes were for these guys, it was only in the weeks after the trial I found out how much it really meant to them and how desperate they were to succeed. 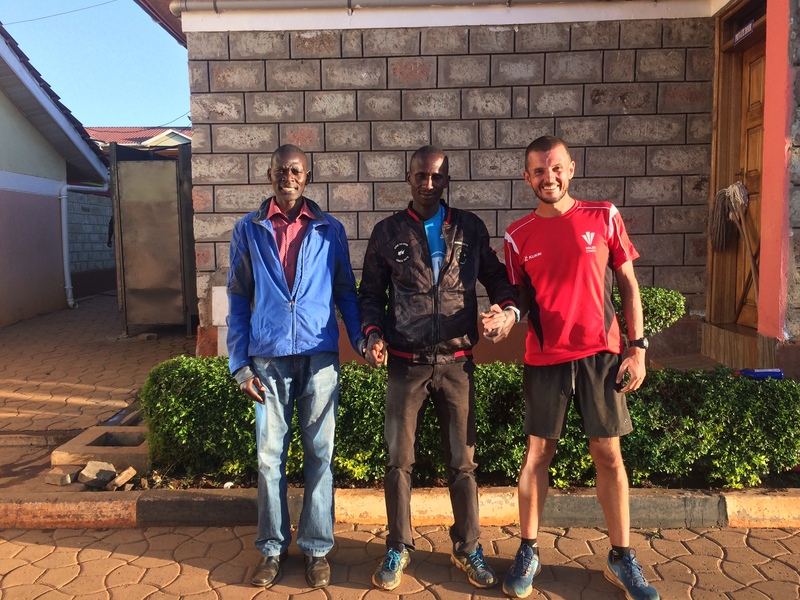 Amos Kimutai , age 24, 65 minute half marathoner & Pacer/training partner to European 10k and half marathon record holder Julien Wanders. 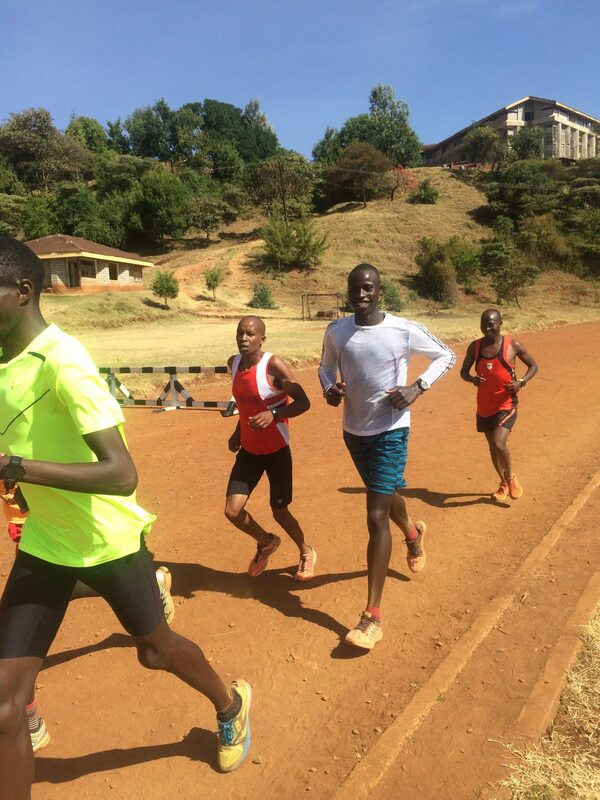 At 9:12am the guys set off around the Tambach track for the first trial of its kind in the home of distance running. The pace was slow, around 7:30- 8 minutes per mile, but this is what I wanted to see. They were holding back, I knew this pace would feel too easy for them but it would soon start to feel a little tougher 3 or 4 hours in when the sun would start burning down on them. After an hour they were all together, chatting and laughing, I joined for a few laps and we were all in good spirits. The telling point would be 3 hours, this would be where I thought they would start to get bit tired or bored. The 3 hour point came and they were still together as a group, I turned them in the other direction for the final 3 hours and passed them a banana each as they turned. 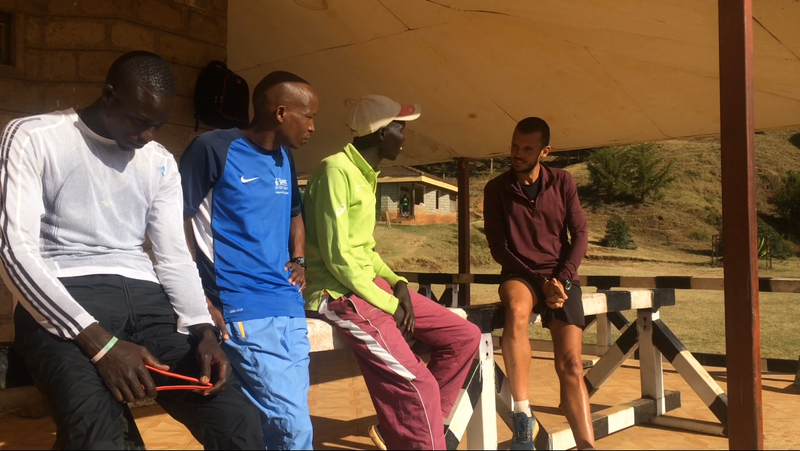 Shortly after, the group starting to split, David Chesire had slowed slightly, I asked him if he was ok and he told me he felt that he’d be better slowing to be sure of making the 6 hours, he was fine though! Tori was documenting everything and has written a huge piece about the whole trial (her writing is much better than mine) here’s an excerpt..
“The guys lap David at the other side of the track, David paced a hard 10k training session this morning before the trial but he is moving comfortably at his own pace. The conversation is dead, everyone is now in ‘the zone’. Abraham, Amos Kim, and Silvester all look super strong, Amos Kib drops back slightly. Amos Kim goes for the toilet which leaves him 200 m behind the others, Abraham who admitted to skipping breakfast this morning leads the pace and seems focused and comfortable. It was going to be an exciting last couple of hours. Next time… Who made it through the trial. 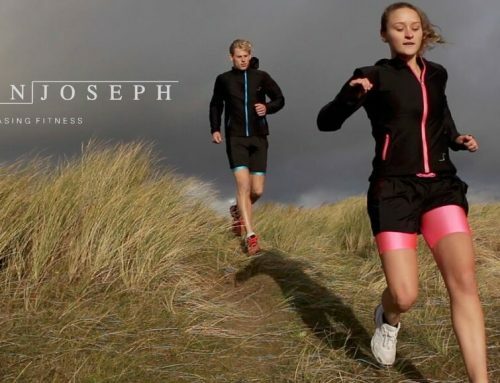 The man that runs 70k training runs in record time, and the first potential female member of the team.